We are undertaking a range of initiatives in keeping with our sustainability message, which is Driving Sustainability for Our Future. The message conveys our determination to create new value to resolve social issues and help materialize a sustainable society through business. 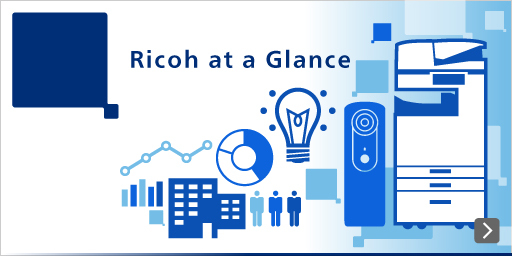 The Ricoh Group pursues such sustainability through a Three Ps Balance-Prosperity (economic activities), People (society), and Planet (environment). We accordingly endeavor to resolve social issues through business, reinforce our operational underpinnings, and contribute to society, and will help to reach Sustainable Development Goals (SDGs)* agreed to by the international community. This set of universal priorities and goals through 2030 under an accord with the United Nations comprises 17 goals and 169 targets.